Lately, if you have noticed there is lots of media attention on brain health. Eat this food, play this game, exercise, etc. all with the benefit of improving the brain and decreasing the likelihood of dementia or Alzheimer’s Disease in the future. All of this sounds great, but have you ever wondered how the brain works? After all if we are doing all of this work wouldn’t it be helpful to know exactly what is going on. 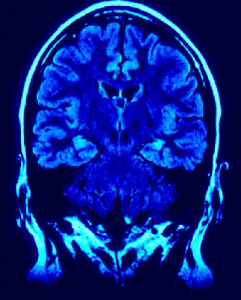 Read on and discover the connections and relationships between our efforts to how the brain works. The brain is the central command station of our very being. It is also the vital organ that determines death. The brain is comprised of millions of neurons that are constantly firing sending and receiving messages. Every thought, action, and behavior you have will trigger a response through your brain. So what is happening? How does the brain work? Well the brain is made up of all of these nerve cells, known as neurons. 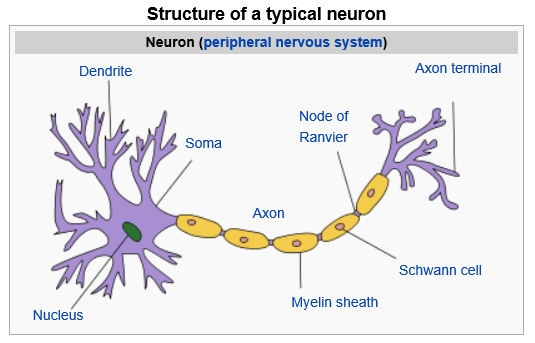 These are divided into three parts: the dendrites (which receive information), the cell body (which then continues to pass on the information), and the axon (which then sends the information on to other neurons). Watch this video to learn how the brain works. We’ve known for some time that stress can cause havoc on all parts of the body. It is considered a precursor to disease and therefore health professionals are always talking about the need to find ways to de-stress. Certainly easier said than done in today’s busy world. But how does stress impact our brain? “Whether you think you can or you think you can’t you are right” a famous quote by Henry Ford really sums up the capacity of your brain (via: How the Brain Works). We all have the power of greatness, but for many reasons only a small percentage choose to completely harness their brains potential. Possibly we do this because of false beliefs that we might have taken on during our formative years or maybe we do not invest enough time for the learning process to occur. Remember, learning is not instantaneous but rather repetitive actions in order for neurons to make connections that are then easily retrieved once the process is complete. Learn even more about how the brain works with this second video.